Joe D’Ambrosio Management, Inc. (JDMI) is a full-service music management company representing producers, engineers, mixers, arrangers, remixers, musicians, composers, songwriters, filmmakers, executives and artists to the music, television, film, Broadway, advertising, game and online entertainment companies. Just this past year, at the 60th Grammys held at Madison Square Garden, Phil Joly won his first Grammy for Residente’s self-titled album in the category of Best Latin Rock, Urban or Alternative Album. Last year, JDMI hit a truly wonderful milestone winning 9 Grammys out of 12 nominations. 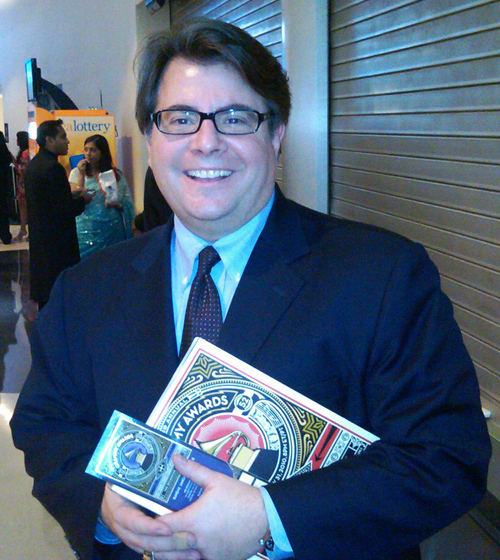 Frank Filipetti won a Grammy as producer and mixer for the Original Broadway Cast Album of The Color Purple winning as Best Musical Theater Album. This was his 7th overall Grammy: Two for James Taylor’s Hourglass album and FIVE for Original Broadway Cast Albums! JDMI is a business built on the following premise: to guide extremely talented individuals toward more profitable earnings by further developing their profile thus augmenting their bottom line. Quite simply, we put forth an unprecedented effort to help you reach your goals. We offer our clients hands-on, professional representation while conducting business in the most responsible manner possible. JDMI represents not only our clients, but also a solid business built on time-honored trust and a sterling reputation. From international superstars to local heroes, our roster provides proven Oscar, Emmy, Juno and Grammy-winning results. And they have done so for the best in the business: Sir George Martin, Rick Rubin, Quincy Jones, Phil Ramone, Ryan Tedder, Tom Dowd, Tommy LiPuma, Jimmy Iovine and countless others. JDMI offers premium choices for recording, mixing, remixing, programming, live-to-two track recording, live sound mixing and remote recording. In addition, JDMI organizes and orchestrates live productions as well as studio sessions providing contractors, project managers, studios, session musicians, rental gear, travel, accommodations and more. Our clients have worked with artists that range from Andy Grammer to Rachel Platten, Michael Jackson to Jay-Z, Beyoncé to Norah Jones, One Direction to OneRepublic, Paul McCartney to Bob Dylan, David Bowie to Ziggy Marley, Kanye West to Lana Del Rey, Eric Clapton to The Eagles, Katy Perry to Jennifer Lopez, David Byrne to Paul Simon, Phish to Pharrell, Mary J. Blige to Serena Ryder, Coldplay to The Good, the Bad & the Queen, Billy Joel to Modest Mouse, Kaiser Chiefs to T. Rex, Etta James to the Red Hot Chili Peppers, Janet Jackson to Faith Hill, The Dixie Chicks to George Michael, Johnny Cash to Rosanne Cash…and the list goes on and on. For more information on any or all individuals including individual reels, please contact us.